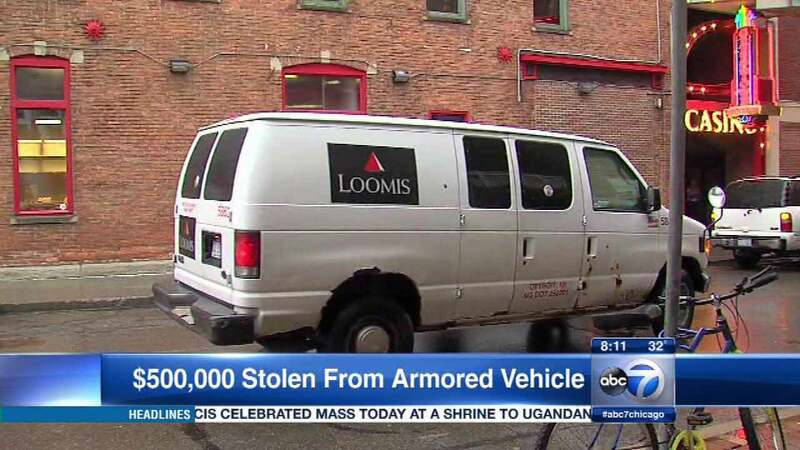 DETROIT (WLS) -- A man dressed as a guard walked away from an armored car robbery with more than half-a-million dollars. The robbery happened outside a casino in Detroit. Police say the man didn't appear to have a getaway car nearby. Authorities are not quite sure why the truck was at the casino because there wasn't a money drop or pickup scheduled. Casino security and local police describe the heist as bizarre and are both actively investigating.